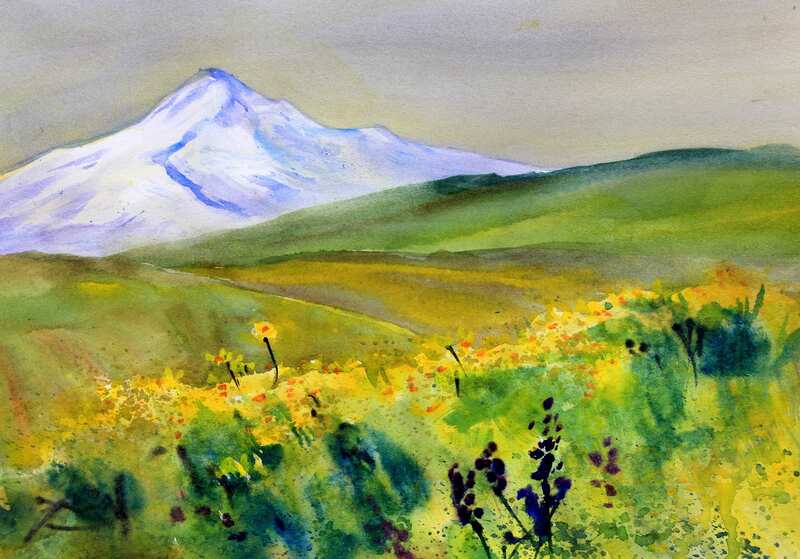 This is an original 10.75 x 14 watercolor painting of Mt. Hood done by myself, Bonnie White. This watercolor is being rolled up and sent without a mat, but should be matted to approximately 16x20, or larger, your choice. I use professional archival watercolor pigments and watercolor paper and archival mat board.